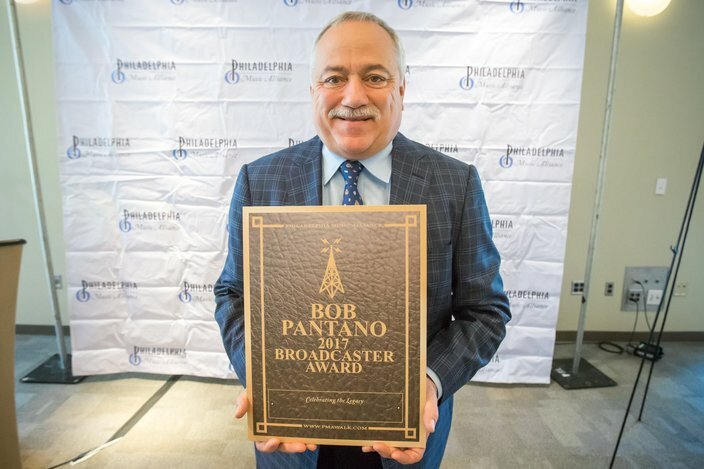 It's ladies' night every Saturday night for Bob Pantano, a/k/a "Mr. Saturday Night," and this year, women rule not only the airwaves, but the Philadelphia Music Walk of Fame, class of 2017. “It’s all part of every show. For me, entertaining people, having fun, seeing their faces and just reminiscing,” Pantano told PhillyVoice Thursday, when he and seven other artists were inducted into the Philadelphia Music Alliance’s Walk of Fame. Jill Scott, Sister Sledge, Labelle (Patti LaBelle, Sarah Dash and Nona Hendryx), McFadden & Whitehead, Sister Rosetta Tharpe, The Soul Survivors and Chris Schwartz of Ruffhouse Records were part of the Philadelphia Music Alliance’s class of 2017. Honorees will have their plaques installed into the sidewalk along the Avenue of the Arts (South Broad Street) during a ceremony on Oct. 4. The most recent artists to be added to the Philadelphia Music Walk of Fame were announced Thursday, August 3, 2017, at an event at the Independence Visitor's Center. The high school falls within the 1st district, overseen by City Councilman Mark Squilla, who was in attendance during Thursday’s press announcement at Independence Visitor's Center. 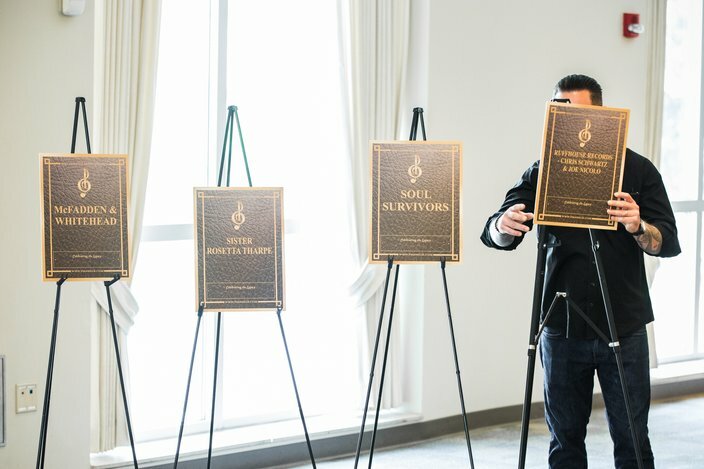 Each inductee will have their name officially added to the Walk of Fame during a ceremony and gala in the fall at the Fillmore. Tickets are on sale now.